The world of hospitality is fiercely competitive. Without an optimized technology solution, your company could lose ground to neighboring establishments vying for your customers’ loyalty. You need to maximize your revenue by booking every table and room you can. You need to combat shrinking margins and seasonal drops in business. You need technology you can trust—with no reservations. Office1 is here to help. How can we help you? With deep experience in the hospitality industry, we understand the demands of your business. You need to stand out from competitors, earn the loyalty of your customers, and broaden your reach. Restructure your infrastructure. We’ll analyze your current systems, identify places they could be stronger, and recommend a tailored solution to optimize your technical infrastructure. From controlled printing and copying services to complete document management, we have the application you need. Focus on your priorities. When something goes wrong in your infrastructure, who do you call? At Office1, we handle the heavy lifting, so you can keep your attention and energy on revenue-driving activities, such as improving the customer experience. Boost efficiency with on-time, off-site IT service. As your Managed IT provider, we’ll fix your computers, printers, copiers, and telephone systems—lightning fast. With Remote Device Management, we can handle almost any issue that rears its head. Keep customers coming back. Your goal is to provide the best customer experience possible. Otherwise, you could see loyalty walk out the door and across the street to a different hotel, restaurant, or casino. 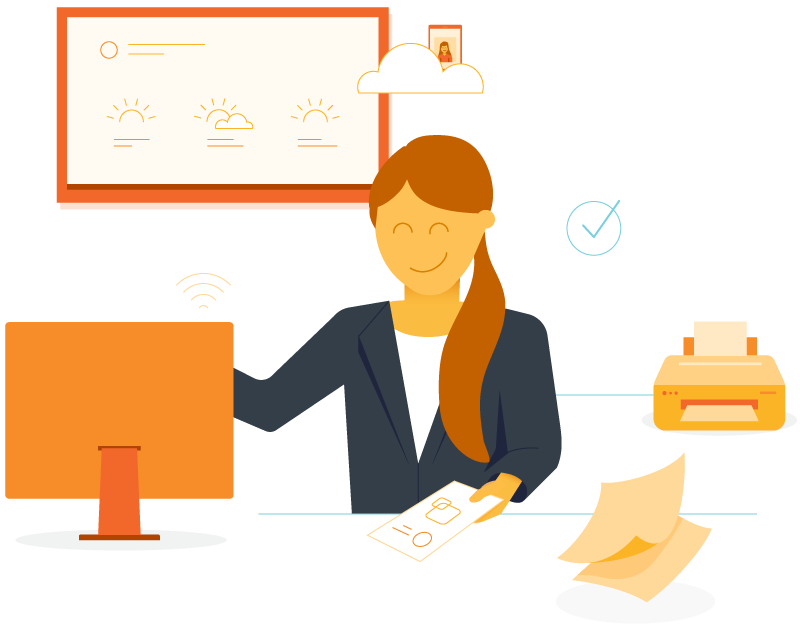 Office1 can help you offer the technology customers expect with Wi-Fi hotspots, desktops, printers, online check-in services, virtual reservation books, and more. At Office1, we believe it’s only hospitable to help you provide the best tools and technologies for your guests and travelers. In return, they’ll return—and remember your establishment fondly. The key to our success is our analyze-optimize model. First, we take stock of your current operations. Then, we use that input to create a spot-on solution customized solely to your business. Has your current partner done that? Let us help you impress your guests and earn brand loyalty that will last a lifetime.